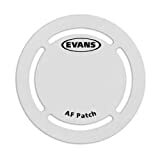 Kick drum (bass drum) patches are a cheap, quick and easy way to increase the durability of your bass drum head, or add more attack and definition to each hit. 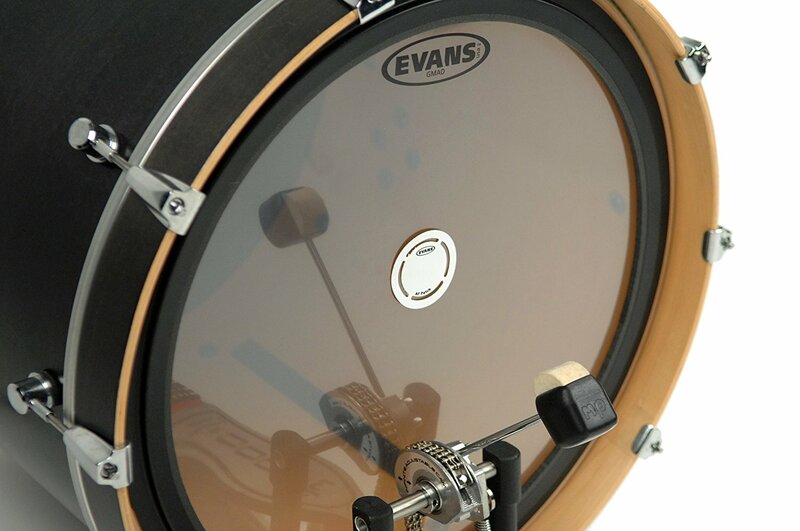 Bass drum patches are used to prolong the life of your bass drum head – stopping dents and tears – especially if you’re using hard beaters (e.g. plastic or metal) rather than softer felt. 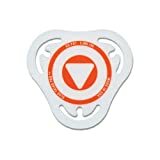 If you’re a hard hitter, you’ll probably want to get one of these so you don’t tear through your bass drum head. Kick drum patches simply stick to the bass drum head where the beater makes contact. 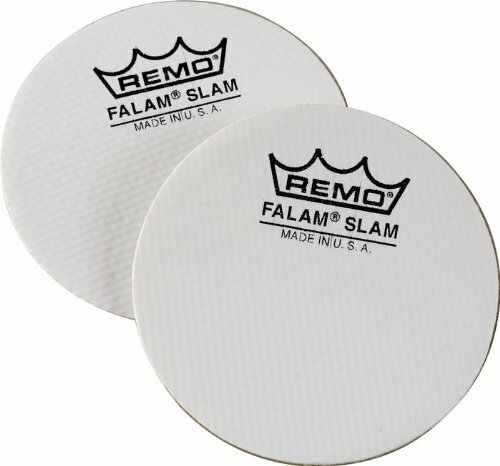 Most bass drum patches will have a minor effect on your sound (like the Remo Fallam Slap or Evans EQ Bass Drum Patch). 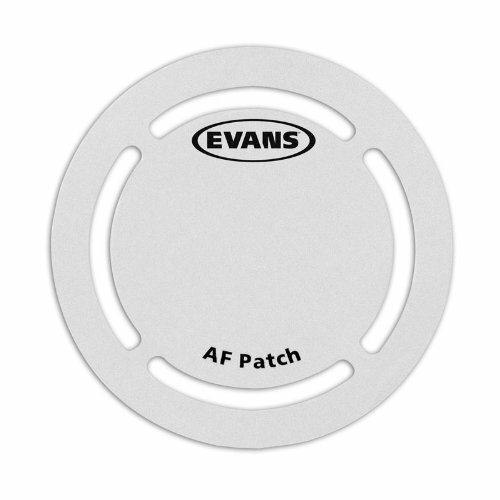 These patches will give slightly more attack and definition to each stroke, and a tiny reduction in sustain. Overall, however, your sound won’t change very much, and you may not notice a difference at all. 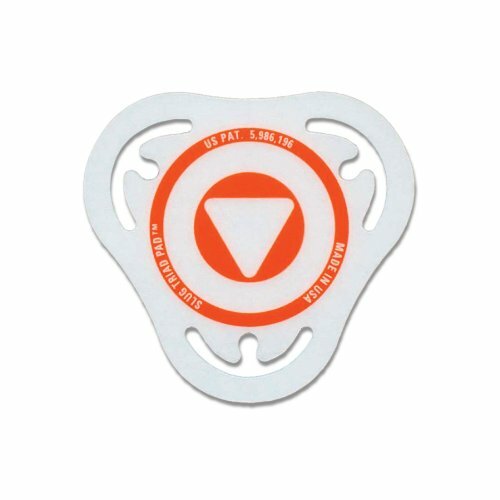 These bass drum patches are mainly designed to add protection and durability to your bass drum head, and Remo’s version is the toughest (they’ll take years to wear out, and they’re super cheap). 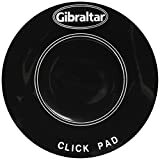 Click patches, on the other hand, (like the Gibraltar Bass Drum Impact Pad) are designed to give a more attacking “click” sound to each hit, allowing your bass drum sound to cut through in loud environments. These are great if you need your bass drum strokes to really stand out. Click patches are especially useful for fast double-kicking, which can easily get lost in a mix (especially in very loud styles of music). If you need more definition to each bass drum hit, a click patch is the answer. Tip: Some bass drumheads (such as the Remo Powerstroke P3) come with a free patch – check this if you’re buying a new drumhead. While we’re on the subject of bass drums: If you’re on the lookout for a new pedal (or just want to understand yours better), check out our reviews of the best bass drum pedal at different price ranges, including essential information to help you understand how your pedal functions.